Auto cut off power within 3 seconds in the case of signal loss. 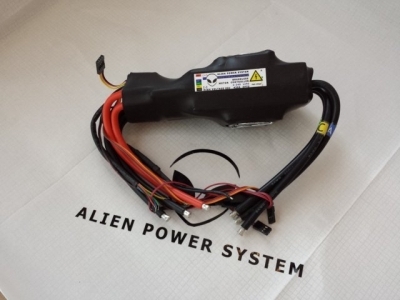 ALIEN POWER SYSTEM SENSORED ESC. 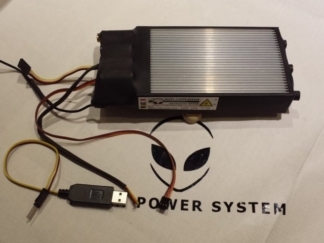 A NEW VERSION OF APS ESC IS THE SPORT SENSORED MODEL. Brushless controllers basically drive tri-phase motors (Brushless) by sending sequence of signals for make the rotation. The correct phase varies with the motor rotation, which is to be taken into account by the ESC. Usually, back EMF create by the motor rotation is used to detect this signals (in sensorless controller), but variations exist that use magnetic sensors (in sensored controllers) or optical detectors. Basically what the sensor does is tells to the ESC the exactly position of the rotor. 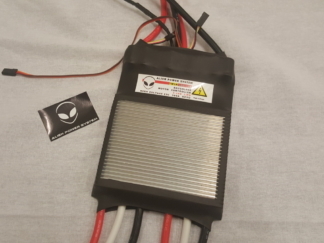 The ESC uses this info to start the rotor spinning perfectly without having to ‘guess’, so it can precisely send voltage and energize the exact coils at the exact time when they are needed to be energized. 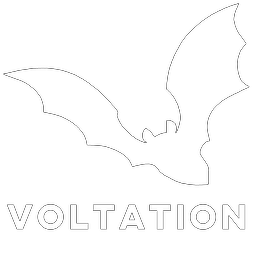 Results is a smoother power, better low-speed driveability and more torque particularly noticeable in lower rpm. 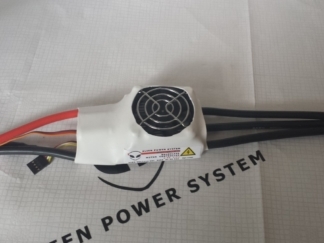 This ESC is recommended for EV systems.